The repairs must be done with metal flashing or steel. Rats can chew, and they can chew through tough stuff, like wood or even concrete! Only steel will do the trick if you want to keep out determined rats. Believe me, I've seen (and years ago, admit that I've done) botched rat jobs because of inferior repair jobs. Much of the repair work will of course be done on ladders and the roof. I bolt in steel mesh on vents, use a hammer drill to bolt screws into concrete etc. It's also very important to seal off the air flow of any entry points, using a sealant such as caulk or polyurethane, because if rats smell an open cavity on the other side of a hole or gap, they'll work hard to chew their way in. You must seal up all the entry points. That's right, seal them up first, even if there are many rats currently inside the building. It's very important that you do it this way. If you leave the entry holes open, and then begin trapping or excluding the rats, guess what? Open holes mean more and more rats will keep coming in, and the job will never end. And here's another important point - the rats are much easier to trap once the exits have been sealed off. And if you intend to do an exclusion with a one-way rat door, then you have to seal all entry/exit holes first. 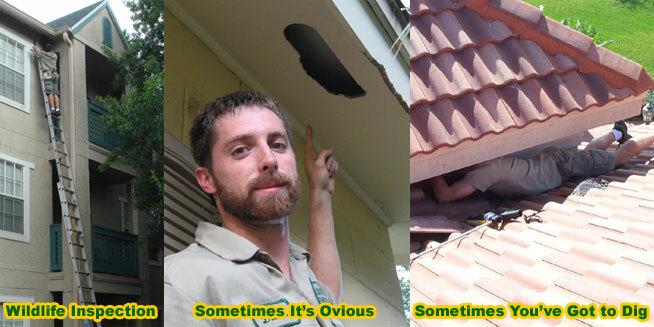 Rat repair doesn't just mean small holes. Sometimes it's a huge project. Take the below case, in which rats could just walk under an elevated house, and up the walls and pipes. There was no way to repair the open gaps under the house - it was just too pervasive. A steel sreen exclusion barrier had to be installed around the entire perimeter of the house. 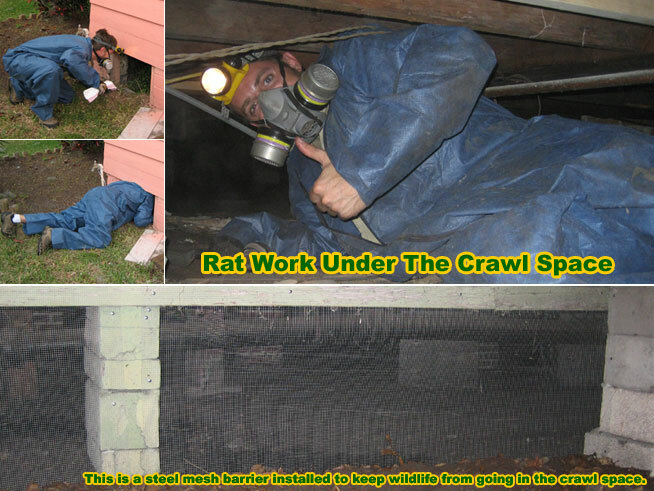 Although I wrote this site with rats in mind, such as the Roof Rat and Norway Rat, the same principles apply to other rodents, such as the house mouse. Mice behave very similarly to rats, they're just smaller. Email me if you have any questions about mouse repairs.